Lots of singletrack, with doubletrack. Short but difficult climbs and descents. Some tricky rocky sections, and some fast, forested singletrack. Appears that it's a high maintenance trail that can get overgrown in the summer. Not much traffic at all. Check to see if its been maintained at all before you go. Call The Bike Shop in Enid (? ), 580-233-4333, or Coopers Bicycle Center in Stillwater, OK 74074, 405-372-2525;http://www.coopersbike.com, coopersbikes@cs.com. Review: Can still find the trail, but very overgrown. Someone with an adventurous spirit and a machete could still ride it, I believe. Review: really fun trail, currently not being maintained by the local mtn bike club because they are building a brand new trail at lake ponca with tons of support by the city and community. Review: We rode this trail yesterday. It was really nice! Nothing very advanced or technical, but a nice flowing, fast trail. It does have spots of loose rock. About 8 miles total. It is also used by hikers so be aware that as the weather gets nicer there will be more hikers on the weekends. Review: Super fun trail - way to go PCMS! It was our first time here - I don't know why we waited so long to try it. The terrain is a bit like Lk McMurtry if you like to ride there - start with some woods and some rolling hills, then throw in some really nice lakeside views. If you like fast & flowy, but not flat & sandy, this is your trail. 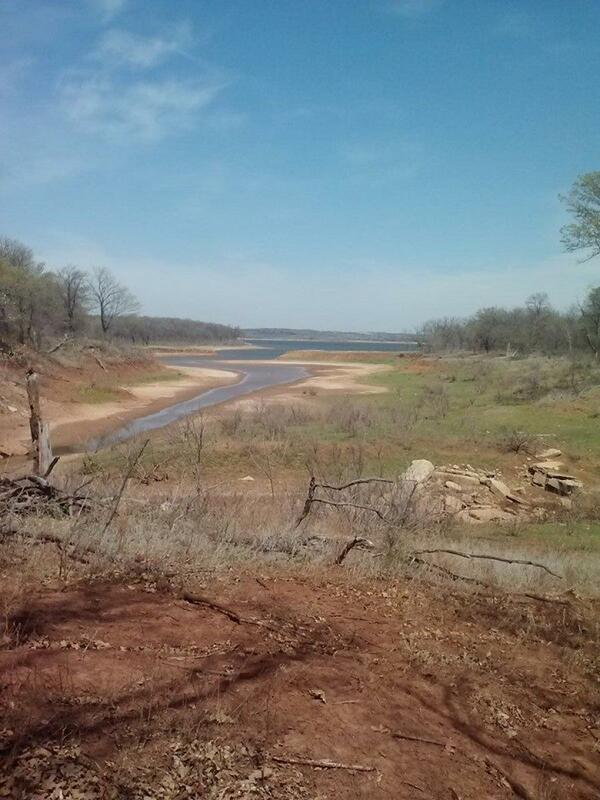 Review: sweet trail that proves oklahoma's not flat. has a lot of variety going from forest to meadows to sand beach. lots of short techy areas with fast rolling sections in between. its a must ride if your in the northern part of ok.
Review: Go to "Ponca City Mountain Bike Society" Facebook page for directions and updates. Enjoy the trail. It's a great one. 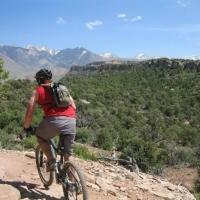 Review: We have a group of local riders who have taken ownership of this great trail. Check us out on Facebook, Ponca city mountain bike society. We have the trail cleaned up, cleared and back to being a great ride for about 4 miles in. Our goal is to make some loops and to go all the way to Burbank, as it did during it's race days. The trail has a bit of everything. From nice rocky climbs and downhills, to some flat fast areas. Most technical areas have bypasses for less experienced riders. The trail is back in use and being maintained on a regular basis. It's well worth the drive to Ponca city to ride this trail. We also have the Oklahoma earth bike fellowship to thank, for their help in the initial, and ongoing, cleanup. Review: I drove out to find this trail and failed to detremine where it starts or even if it exists anymore. There is a closed gate for vehicle traffic as this is a state park and they seem to close during certain times of the year for an undetermined amoount of time. I took my bike in to find the trailand i think i found a part of it but am not too sure. Wasnt worth thtime spent driving out. Mabye someone can message me and clue me in on where the trailhead is. Review: This trail is in desperate need of some TLC. This would be a fun out-and-back (9 miles one way) trail, mostly singletrack, with some rocky technical and fast smooth sections if it was cleared. There currently (Apr. 21, 2006) is alot of deadfall, and needs some trimming. The trail is decently marked, although there are some reroutes that were a little confusing. You can do a one-way and take the gravel roads back. If you ride it in its current condition, bring an extra derailler (slightly kidding). Eagle View, Kaw Lake MTB Trail 3.27 out of 5 based on 11 ratings. 11 user reviews.